PEABODY, MA: Hazel L. (Eade) Mosse, 101, a lifelong resident of Peabody, Mass., died Saturday, November 15, 2014, at Blueberry Hill Nursing Home in Beverly, after a short illness. She was the wife of View Full Notice → Hazel L.
David C. Teagan of Hull and Oak Bluffs, died unexpectedly on November 15, 2014. He was 50. 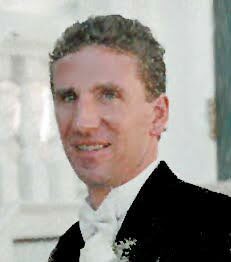 David was born on June 27, 1964, and was raised and educated in Hingham. David was an avid outdoorsman and a world traveler. Worcester, MA – View Full Notice → Sister Alice Brennan, S.N.D. View Full Notice → John O’Brien Jr.
SPENCER – Doris “Dot” M. (Beer) Thomas -93, died Friday, November 7, 2014 at home with her loving family by her side. She was born in Westwood, Massachusetts on September 1, 1921 to Herbert L. and Ethel M. (White) Beer. Joan F. (Christian) Cassidy, 76, died peacefully at her Clinton home with her family by her side on Wednesday, November 19th, 2014. She and her husband, William J. Cassidy, Jr. were to celebrate their 58th wedding anniversary on December 9th. View Full Notice → Rebello, Joseph F.